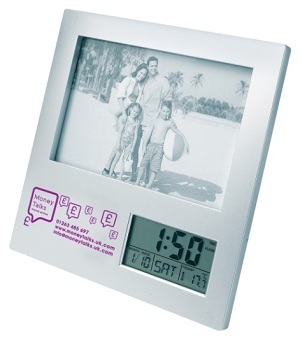 Photo Frame Clock - Express Corporate - Promotional Products - Delivered Fast! A perfect item for adding a personal touch to the desktop. Also features clock, alarm, date and temperature functions. Displays a 5" by 3" photo. Takes two AAA batteries (not included).